The day before Hurricane Sandy hit New York City we innocently enjoyed some pumpkin enrichment fun with many of the beautiful animals at the Central Park Zoo. Hope these photos make you smile as much as I did while taking the shots. There are still a few spaces left in my Fall Photo Workshop next Sunday, November 11th from 9 to 11 AM. Guaranteed fun. Click here and sign up. That’s my dog Benny (above) showing off his Halloween costume. 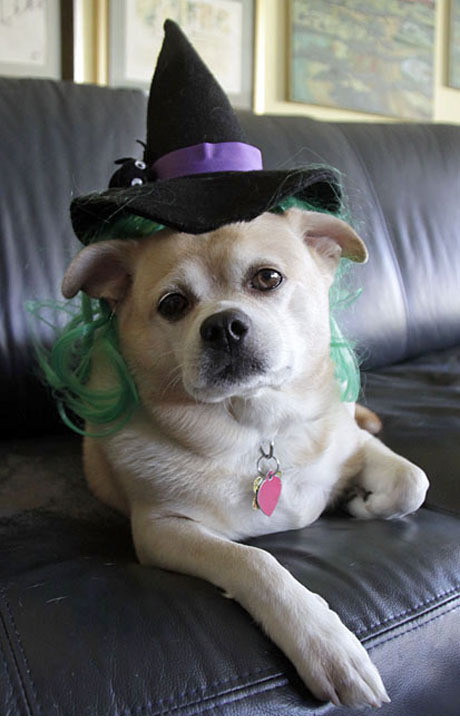 Sadly, Halloween was cancelled in the City but Benny got to wear his costume around Casa Lobo and get many treats. Our local Animal Ark, a rescue facilty, has a Halloween party for the critters that live there. Our grandkids loved it.